BERLIN- Stephen Decatur’s girls’ varsity basketball team took care of business at home against county rival Snow Hill on Tuesday, routing the Eagles, 55-14, to pull even at 7-7 on the season. With the win over Snow Hill on Tuesday at home, the Seahawks earned a season sweep over their county rivals after beating the Eagles, 53-5, back on December 20. The Decatur girls also swept Pocomoke this season. After a sluggish start, the Seahawks steadily pulled away from Snow Hill on Tuesday. 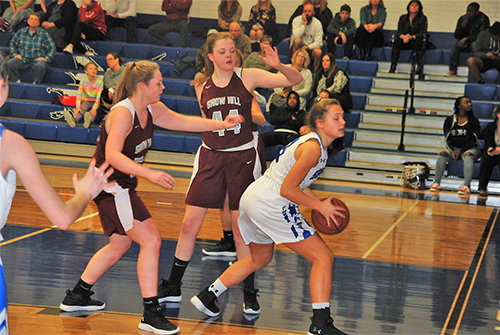 The Decatur girls started the second half of the season with three straight losses, but have now won three of their last four to pull even at 7-7 on the season.